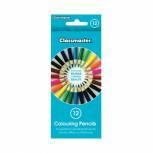 Classmaster Colouring Pencils Assorted (Pack of 144) CP144 Pack of 1 Hexagonal colouring pencils. 12 assorted bright colours in each pack. Quality wood with a 3mm diameter. Standard sized barrels. 144 pencils in a dispenser box. 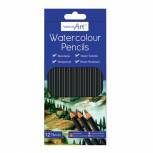 Classmaster Colouring Pencil Assorted Pk 144 Pack of 1 Hexagonal colouring pencils. 12 assorted bright colours in each pack. Quality wood with a 3mm diameter. Standard sized barrels. 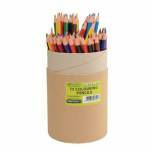 144 pencils in a dispenser box. 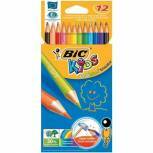 Bic Kids Evolution Ecolutions Colouring Pencils Assorted (Pack of 12) 829029 Pack of 1 Wood free colouring pencils which produces colourful drawings. Lead does not break within even if pencils is dropped. Sharpens to a finer point. No splinters if pencil is broken. 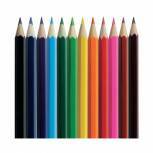 Assorted pack of 12 bright colours. 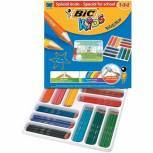 Bic Kids Evolution Ecolutions Colouring Pencils Assorted (Pack of 144) 887830 Pack of 1 12 different colours in each pack. 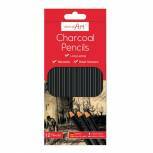 Wood-free colouring pencils. Graphite does not break when pencil is dropped. 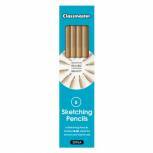 Splinter-proof and chew-resistant for safer use. Hexagonal barrel. 12 assorted colours. 50% recycled. 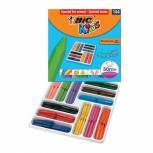 Bic Kids Plastidecor Triangle Crayons Assorted (Pack of 144) 887833 Pack of 1 The wax leaves neither hands nor clothes dirty. Jumbo size makes it easy to grip. Triangle shape helps aid using the correct finger position on a pen. You can draw with the point or the barrel. Solid material with very good resistance. PVC free. Classmaster Colouring Pencils Assorted (Pack of 12) CPW12 Pack of 1 Hexagonal colouring pencils. 12 assorted bright colours in each pack. Quality wood with a 3mm diameter. Standard sized barrels. 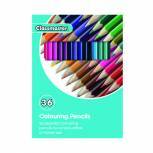 Classmaster Colouring Pencils Assorted (Pack of 288) CP288 Pack of 1 Hexagonal colouring pencils. 12 assorted bright colours in each pack. Quality wood with a 3mm diameter. Standard sized barrels. 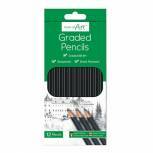 Value box of 288 pencils.